Recycling chartjunk as junk art. 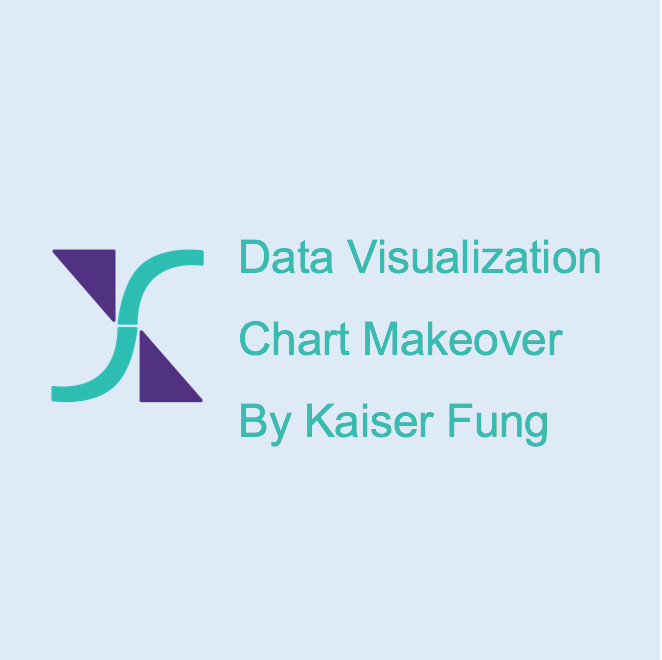 A blog by data visualization critic, Kaiser Fung. One of the amazing economic stories of the moment is the unemployment rate, which at around 4% has returned to the level last reached during the peak of the tech boom in 2000. The story is much more complex than it seems. I devoted a chapter of Numbersense (link) to explain how the government computes unemployment rates. The most important thing to realize is that an unemployment rate of 4 percent does NOT mean that four out of 100 people in the U.S. are unemployed, and 96 out of 100 are employed. It doesn't even mean that four out of 100 people of working age are unemployed, and 96 out of 100 of working age are employed. What it means is of the people that the government decides are "employable", 96 out of 100 are employed. Officially, this employability is known as "in labor force." There are many ways to be disqualified from the labor force; one example is if the government decides that the person is not looking for a job. On the flip side, who the government counts as "employed" also matters! Part-timers are considered employed. They are counted just like a full-time employee in the unemployment metric. Part-time, according to the government, is one to 34 hours worked during the week the survey is administered. The following chart then shows that despite the unemployment rate looking great, the U.S. labor market in 2018 looks nothing like what it looked like from 1990 to 2008. Technical notes: all the data are seasonally adjusted by the Bureau of Labor Statistics. I used a spline to smooth the data first - the top chart shows the smoothed version of the unemployment rates. Smoothing removes month-to-month sharp edges from the second chart. The color scale is based on standardized values of the smoothed data. P.S. See Part 2 of this series explores the different experiences of male and female workers. Also, the entire collection can be viewed here. You say "4 percent does NOT mean that four out of ten people in the U.S. are unemployed". percent, Nick: thanks for the catch! Corrected. Getting closer. I think you want to fix the working case to say 96 out of 100 now. It is an interesting article regardless. Thanks. David: Of course! It's a case of having too many balls in the air. Thanks for the note. Is the chart yours or is it a Bureau of Labor Statistics production? Is it possible to have a link? Thank you. I believe if you create an account, you can access the underlying dataset. See our curriculum, instructors. Apply. When you have a difficult dataviz challenge, or just want Kaiser's opinion. Kaiser Fung. Marketing analytics and data visualization expert. Author and Speaker. See my website. Follow my Twitter.